The common magnetic loudspeaker is, fundamentally, a fairly simple machine. A static magnetic field is generated by a permanent magnet, and a membrane is mechanically connected to a coil. When a varying electrical current is passed through the coil, this causes the coil to move due to the magnetic field, vibrating the membrane and producing sound. 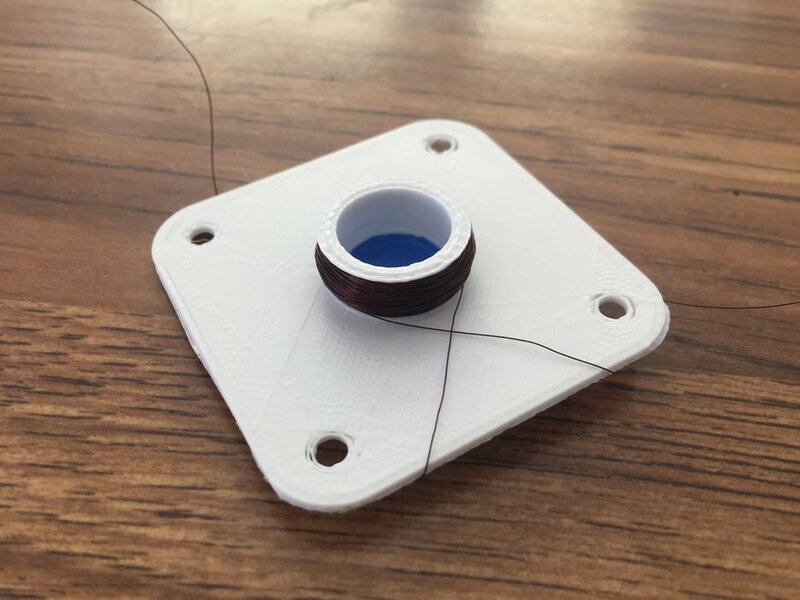 [Mattosx] put this theory into practice with a simple 3D-printed speaker. It's not the first 3D-printed speaker we've ever seen, but it's one of the cutest. The main body of the speaker is rectangular, and has a cavity in which three neodymium magnets are placed. The vibrating membrane is then printed separately, including an integrated spindle upon which the coil is wound. The assembly is held together with some socket-head cap screws which complement the pleasantly modern look. The device does a good job delivering the bleeps when hooked up to an Arduino, and we could see this basic design serving well in all manner of charming 3D-printed builds. Video after the break.